A while back, I was raving about my new Surly Merino Wool Cycling Jersey. Those are now available for by special-order from Surly through us, your local Intergalactic Surly Dealer. Men's sizes Small through 2XL, and Women's sizes X-Small through XL; black or gray for either, $149.99 each. 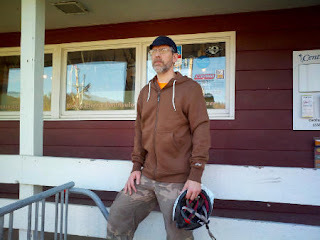 Also, Surly received the first shipment of their new Merino Wool Hoodies, and are making them available to us at a special price. 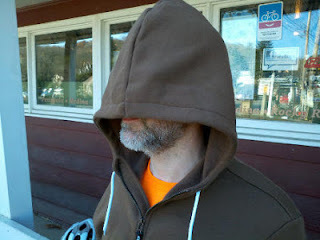 And, since we'd never EVER (ever) take advantage of a special price without passing the savings on to you, our dear customers, instead of the suggested retail price of $159.99, the Surly Merino Wool Hoodies are available by special-order for a LIMITED TIME at the special price of $89.99. THERE'S ONE SMALL CATCH -- There was a quality issue with this first batch that Surly received. They found that with repeated friction (such as might be caused by a backpack or messenger bag strap), the outer material tends to form lots of "boogers" on the surface. (The civilized world refers to this phenomenon as "pilling.") So, rather than ship the whole lot back to the factory, they decided to make them available to us at a discount, with no anti-booger guarantee. This is a fine deal on one fine wool garment (it's actually 80% New Zealand Merino Wool and 20% polyester). It's got a full-length zipper with a zipper garage at the top of the neck, understated Surly logo on the left sleeve, two hand-warmer pockets, one internal stash pocket, and drawstring hood. The zipper is Euro-style, meaning that the zipper pull is on the left side. Available in Black or Brown in unisex sizes Small through 2XL. The sizing is pretty true; the Large fits quite smartly on my 5-foot 11-and-three-quarter-inch bag o' bones. 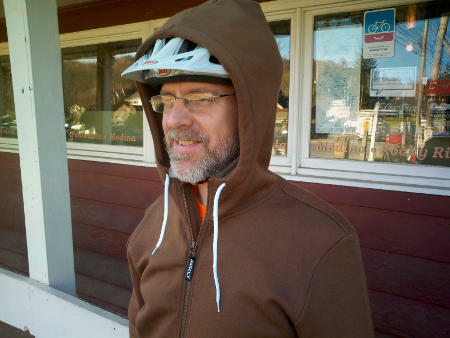 The hood is cut rather large, as you can see; it's designed to fit over a bike helmet. Call us to get yours while they're hot!